Most people understand how tools in a woodworking shop benefit the craftsman; a table saw, belt sander, and drill press are very useful tools. However, we recognize the most important factor in the overall quality of a project is the craftsman. It is the skilled journeyman who takes a block of wood and creates a unique masterpiece. We recruit and retain staff members who possess the capability of being evidence-based as well as innovative practitioners. These are our craftsmen. 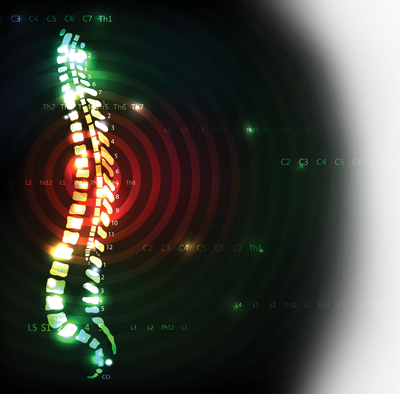 Every individual with a neurological injury, particularly spinal cord injuries, has a unique set of difficulties or injury results. No two injuries or recoveries are identical. With that understanding, it is imperative that our clinicians create and construct the precise program needed to draw out the best outcome potential with each patient. We encourage our staff to think about the available equipment and determine how that tool might benefit a given patient or situation. It is critical they comprehend the “how” and the “why” of their choice, considering the patient’s needs. An excellent therapist given the proper equipment and time is a powerful combination to treat the difficult circumstances that accompany paralysis. We saw a tremendous need in our community for specialized care of neurological patients. We structured ourselves as a physical therapy outpatient facility and a nonprofit charitable organization—a very unique business combination—and we opened our clinic under the premise of being medically sound and extremely innovative. Innovative equipment is crucial to our mission. Aquatic Therapy. Aquatic pools have been a critical part of our therapy services. They combine the therapeutic properties of water with state-of-the-art technology to produce the most advanced rehabilitation environment available in the world today. The pools provide substantial therapy potential with an adjustable underwater treadmill, front and side camera-monitor system, and adjustable rate thruster jets. Patients benefit from the properties of warm water, including resistance and buoyancy. Body Weight Support System. We have implemented a locomotor training system that utilizes the scientific principle of neuroplasticity for generating new locomotion patterns. Through dynamic computer-assisted feedback, we can control vertical displacement and center of mass, which are essential to patient safety and to achieving proper step and stride kinematics. The system also provides ergonomically correct, adjustable seating that provides easy access to a patient’s legs and feet, which minimizes clinician fatigue and injury. Robotic locomotion therapy. Functional movement and sensory stimulation play an important role in the rehabilitation of neurological patients following stroke, spinal cord injury, and traumatic brain injury. However, administering intensive functional locomotion therapy with manual training is labor intensive and allows only relatively short training sessions. Therefore, we utilize a system that allows a single therapist to administer intensive functional locomotion therapy with a consistent and repetitive pattern. The integrated visual feedback system enhances patient motivation and facilitates neuroplastic change. Functional Electrical Stimulation. We employ a variety of electrical stimulants to create and augment patterned movements in the legs, arms, and trunk. A combination of modalities and knowledgeable craftsmen who understand the “how” and “why” of each of the tools allows us to provide the highest level of care, empower our patients, and give them the hope they need to achieve their best possible outcome. Dale Hull, MD, MPA, is co-founder of Neuroworx and serves as executive director. He can be reached at dale@neuroworx.org.